REpower Systems AG has signed a wind energy contract with German wind farm project developer Denker & Wulf AG, for the delivery of 22 wind turbines to a new wind farm project in Mecklenburg-Western Pomerania, Germany. The 2011 Volt will be available to Chevrolet customers in California, New York, Michigan, Connecticut, Texas, New Jersey and the Washington D.C. area. The world premiere of the MINI Scooter E Concept at the 2010 Paris Motor Show spotlights in fascinating style the innovative power of MINI. Leading Electric Car Maker Implements ENOVIA V6 to Streamline Product Development; DELMIA V6 and CATIA V6 Implementations Planned. A Tesla Roadster traveling around the world will conclude its epic voyage Sept. 29 when it arrives in Paris for a spectacular gala. The UK’s efforts to hit its renewable energy target are likely to be boosted by a near-25% fall in the cost of offshore wind turbines by 2025, engineers claimed today. CSIRO is developing the next generation of technologies that produce energy from renewables including solar energy, wind turbines, ocean and geothermal resources. Tejeda expects wind power will someday supply Mexico with 20% of its electricity needs, compared to the 1% it currently supplies. 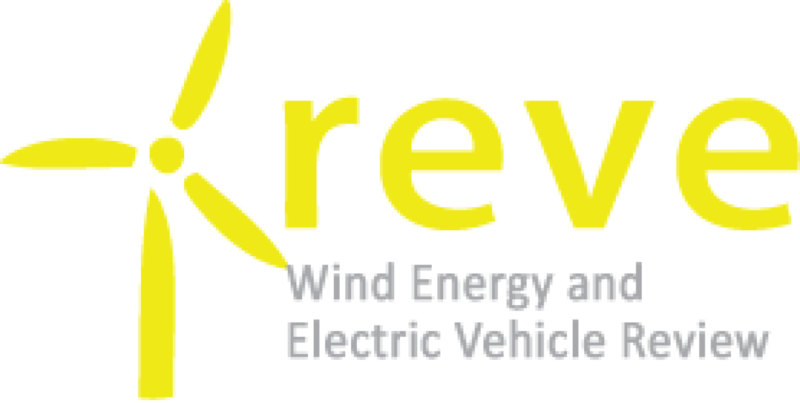 If wind power does not displace fossil fuels, because backup power units must be kept running anyway, how did KEA save 930,000 gallons of diesel fuel? Electric vehicles manufacturer Tesla Motors will open its newest showroom Sept. 30 in the heart of Paris, just in time for the 2010 Paris Motor Show. By the end of 2009, Goldwind cumulatively installed over 5,500 units of wind turbines. In 2009, Goldwind was ranked the fifth largest wind turbine manufacturer globally in terms of newly installed capacity. Amid corporate fanfare over a visit from billionaire Warren Buffet, high-tech lithium ion batteries and electric vehicles maker BYD Co signed a deal Monday with China Southern Power Grid to cooperate on energy storage. IDC Energy Insights forecasts that PEVs will become commercially available in 2011, and by 2015 there will be more than 2.7 million PEVs plugged into the global grid. With electric vehicles, our existing electric system offers our customers an alternative fuel source for a more sustainable transportation solution. Plugin hybrid-electric vehicles, like Chevrolet?s Volt, and completely electric vehicles, like Nissan?s Leaf and THINK?s City, will begin to be sold commercially in the US within the next year. If achieved, the plan would bring access to modern and sustainable energy services to at least an additional 100 million people in Africa. New Jersey, Virginia and South Carolina could supply 92%, 83% and 64% of their current electricity generation with offshore wind farm, respectively. The wind turbine prototype will be shipped to Texas and is planned to be installed at the site of the proposed 600 MW Spinning Star Wind Energy Project, to be located in west Texas, U.S.